Not having a USP (unique selling point) is as bad as not having a credit card payment facility in your business. You may as well not trade or else just be happy plodding along. The reality is that every single industry and every single business planning to open requires a USP and in fact if you are looking for a bank loan of any sort or investors you will need to convince them why your USP will work and attract clientèle. There are so many spas and salons opening as they are closing doors. In order to be successful and sustainable, you must make sure you are different and carry this difference through with everything you do. There are a number of ways you can identify a unique selling point but please DO NOT OPEN YOUR BUSINESS WITHOUT DOING THIS EXERCISE FIRST. Start with the 4 P’s of marketing first. 1. Product. 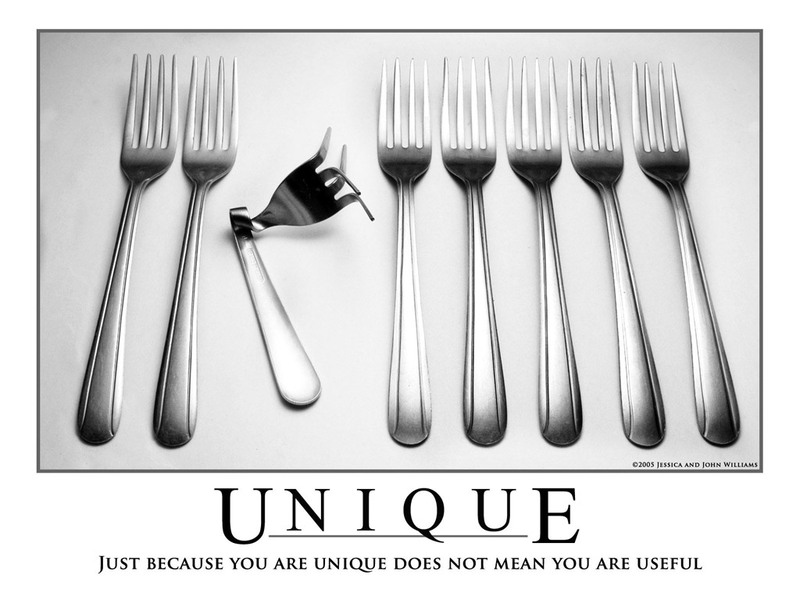 Your product may not necessarily be unique but rather focus on the strengths of the brand you decide to carry. Use your product supplier to assist you with the marketing and USP around the brand and carry this forward to your client. 2. Price. This does not mean discounting and cutting pricing but rather possibly a unique way of pricing your services. For example, have you ever thought of charging your clients by time and not by the service they book for? 3. Position. Is there anything unique about where you are positioned? And are you making a noise about it? For example I have visited a number of salons and spas with the most gorgeous setting and did not even know about it? It was not mentioned on a website or menu. If your position is convenient or near ample parking, make this know and talk aboutit. In fact if you are near a really hip and trendy coffee shop or book store make yourself heard and tell your clients about this. 4. Promotion. How are you going to make yourself known? How are you going to promote your business? Try a few new avenues like creating a facebook group for your business and promote your business on line. In fact in this day and age your main sorce of promotion should be on line and not via newspapers and flyers. Use your current data base and if you don’t have one use your current networking and friendship base to promote your new business. 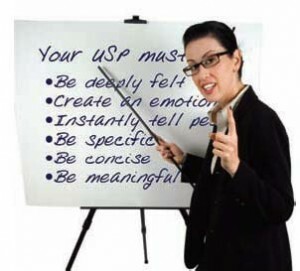 Whether you are a new start up business or a business that has been going for a long time, please do this exercise with me and see how you will begin to come up with new and fresh ideas about your USP. Sit with your staff at your next staff meeting and take out some note paper and discuss your business USP with your staff. Ask them what makes your particular business different from the rest and why should all your clients come to your salon or spa and not the one down the road? Make notes and write down the above 4 marketing points and brainstorm them with your team. You will be surprised how they will come up with amazing concepts and ideas you may never have thought of. Once you have done this TELL THE WORLD!!!! 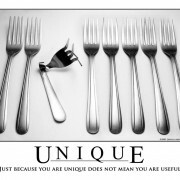 You need to get that USP message out there or it is of no use! The next area you can look at and analyse when it comes to USP and this is the area that I find most business lack is the “attention to detail in your businesses”. The décor and finishes in your spa or salon are also a major unique selling point and remember that a chandelier in a spa can be a talking point and something that stands out to the consumer. In fact I have heard on a number of occasions something about the finishes or shop fitting in a spa that is remembered and spoken about by all who see it. Service, service, service. Yes we have all heard about it and we all know it and in fact we quick to complain when we don’t get it but take a step back and look at your business from the outside. Is your service OUTSTANDING? Is the service you offer your clients a talking point at dinner parties? Do people refer to your salon as a place to have a nice set of nails, or a great wax? Or do they refer to your salon as a place where the service is unbelievable, where you get treated like a celebrity and made to feel at home? Look at all aspects of the service you offer not just the way you welcome guests or how smooth the check out but also about the follow up call the next day or the call on their birthday or a random free Indian head massage because they have spent R5000 to date in your business. Go the extra mile and you will be remembered! When we design and build a new spa, the first item we spend a lot of time discussing is the new spa point of difference and how this spa will be different to the ones we have done in the past and how we are going to create a point of difference for them. We then ensure that the point of difference is carried through from the website, to the treatment menu and press releases. We also train the staff about the point of different and make sure they talk about it to clients all the time. So to summarize, get your staff involved, discuss and brainstorm what makes your business different, tell the world about it, make sure your staff are well trained and convey the correct message to the consumers and get the word out there. Last but not least if you don’t maintain something, it will start to fall apart and look worn and dirty. So re-look at this and refresh it every 6 months and see how this will change your business and how your staff and clients look at your business. What an excellent article!! Fantastic work Vaughn and Marisa. Every single person on Linked in that have their own business should read this article, or even if you in Sales or Management; especially owner or managers (Leaders) of companies. We so often forget to apply these simple principles in business. Any business, not just Salons and Spa’s should apply this in their next strategy meeting. To your success Vaughn! Isnt it amazing how clients come into your salon and complain about the service that they’ve received elsewhere. I listen when people tell me these things and make sure that I’m not doing the same thing. I feel that there are so many therapists out there that lack passion. That to me is a starting point. love what you do and it will show. Anyone can do a half attempted treatment. I would like to also motivate therapists out there to pick up there lips, stop complaining and make it work for you. 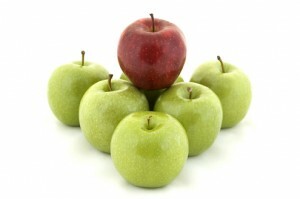 Managers/owners, get rid of the bad apple, they weigh you down and give our service industry a bad name. I want to hear more positive things from people and not always negatives. Thank you Vaughan and Marisa for always motivating me when I need it most. You guys Rock! Thank you for your very informative articles! They are of immense value to me and my business. It feels like I have a personal marketing onsultant on-line for our industry. Thank you for your support.